Steve Rice (Olympia, United States) on 26 January 2012 in Sport & Recreation. 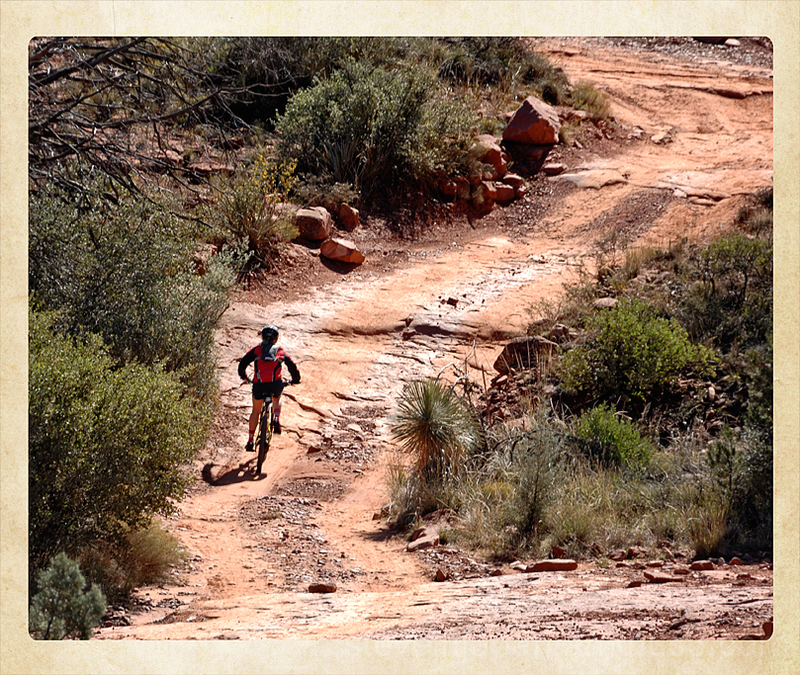 Some bicyclists rode both the hiking trail and the Jeep road. Seemed kind of dangerous to me. It surely is dangerous ! Must be thrilling however ! Amazing. Like the lonely biker in this wonderful landscape. 'Dangerous' seems a good word . . I guess y'd hear it a lot around there ! Wow ...A superb composition ! What a road ...!! !Thank you Steve for all your interesting comments ! Great capture - yes, looks a risky move here. The winding road composes an excellent effect. Excellent frame. I'm really surprised to see a cyclist on the desert. Are expected instead to see a dangerous snake. Nicely captured ! Clear path for this biker but i am sure it's not easy to ride there ! I like BOTH of your perspectives here: The visual one and the Verbal one...Seems mighty dangerous to me as well...Great shot, Steve! tires like a mountain bike. Great photo. Hopefully this person has plenty of water! I love how the landscape hugs this trail from both sides. Great perspective of the cyclists and love the textures and colors of the cyclist's path, although it looks dangerous. I feel already tired. Beautiful and colorful image!!! Beautiful shot and perfect framing! It looks like a bumpy ride, but maybe a fun one. Your timing is perfect! Quite a ride indeed! Beautiful composition and perfect placement, Steve!!! Well catched action with a track leading into photo here.